Sure, everyone involved can come up with a variety of excuses — they aren’t technically misleading customers, it’s all in the fine print, and these are the standard ways the industry operates — but hardware has been advertised in many misleading ways. We’re not the only ones calling these marketing gimmicks misleading. Some of these tricks have even been the subject of class-action lawsuits for misleading consumers. Today we will look at 8 ways hardware manufacturers attempt to pull the metaphorical wool over the consumer’s eyes. Device manufacturers advertise their devices with phrases like the “64GB Surface Pro” and “16GB Galaxy S4.” A naïve consumer might assume that they have 64GB or 16GB of storage space available on these devices, or perhaps a bit less — but that’s often not true. According to Microsoft’s own estimates, only 28GB of space on the 64GB Surface Pro is available for use. Samsung’s 16GB Galaxy S4 only offers about 8GB of usable storage space. Hardware manufacturers label and advertise devices based on the amount of storage hardware they have inside them, not the usable space — which is a much more meaningful measurement to users. On Windows tablets and Samsung’s Galaxy S4, much of the space is used for the operating system and preinstalled software. However, this can be confusing when comparing different types of devices. For example, Apple’s 64GB iPad offers about 57GB of usable space — much more than the Surface Pro with the same included storage — but “64GB Surface Pro” and “64GB iPad” will be what customers see and compare. This situation is a mess. 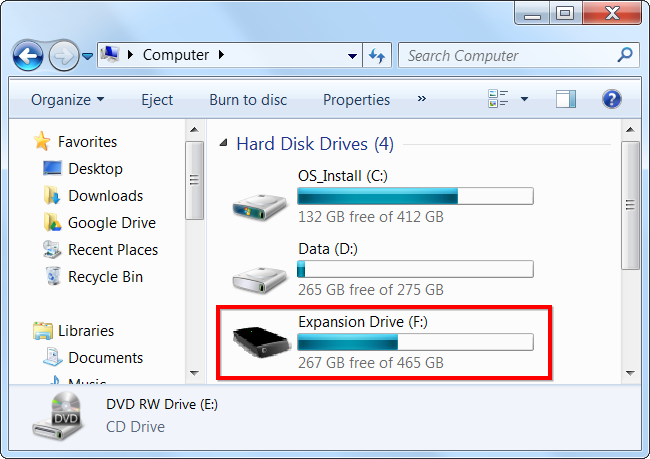 It could be argued that hard drive manufacturers are using the correct measurements while Windows isn’t, but the end result is clear — if you buy a 500GB hard drive in a store and install it in your Windows computer, you’ll have 465GB available to you in Windows. For more in-depth information, read HTG Explains: Why Do Hard Drives Show the Wrong Capacity in Windows? 4G was once a term that referred to next-generation cellular networks, but over the years it has been redefined to include upgraded networks based on 3G technologies. Nowhere is this more (un)clear than with the iOS 5.1 update to the iPhone. This update changed the network indicator on AT&T networks from “3G” to “4G.” Nothing actually changed — the iPhone didn’t immediately start connecting to AT&T’s new LTE network, although the latest iPhones do — but Apple gave in and accepted that AT&T wanted to call its network a 4G network. 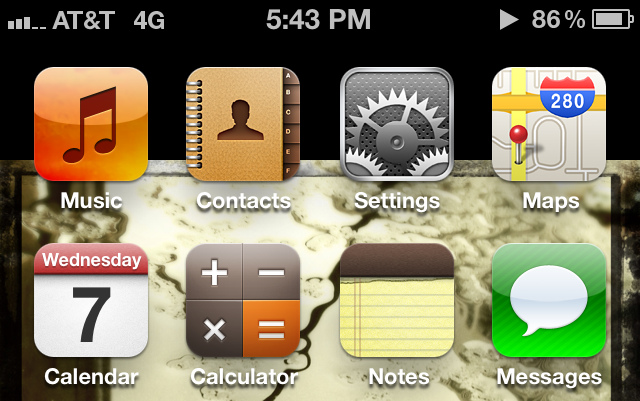 iPhone users were upgraded from 3G to 4G overnight, but all that really changed was the label. The term “4G” has gradually become more and more meaningless over time, and technologies that were once advertised as 3G are now being advertised as 4G. The official definition of 4G has been loosened further and further to allow more and more cellular carriers to claim they offer 4G networks. Look at the specifications list for any device with a screen — especially smartphones — and you’ll find a long list of buzzwords that purport to be specifications. Sony has “TruBlack” and “X-Reality Picture Engine,” Toshiba has “TruBrite,” Nokia has “ClearBlack” and “PureMotion HD+” — the buzzwords go on and on. It’s misleading marketing to parade these technologies as specifications — “X-Reality Picture Engine, only on Sony devices!” — when they’re trademarked marketing terms that can only apply to a single manufacturer’s products. For example, Apple touts that their devices as the only ones with the “Retina display” — which is true, as Apple has trademarked the term “Retina display” and it can only be used to describe Apple devices. 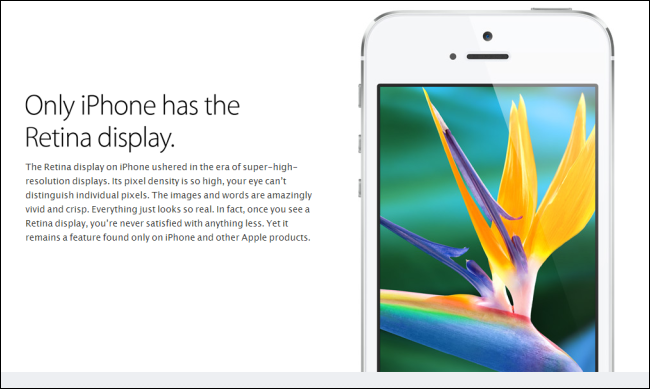 Although other devices have screens with higher pixel-density, they can’t be referred to as Retina displays. Some Blu-Ray players and smart TVs are advertised as “Wi-Fi Ready.” You might assume that this means the device is ready and able to connect to your Wi-Fi network, but you would be wrong. “Wi-Fi Ready” means that the device requires a special dongle that you have to purchase so it can actually connect to a Wi-Fi network. Wi-Fi ready just means that it’s ready for you to purchase another product — it has a USB port so you can buy an expensive dongle and plug it in. If you were around before LCD monitors and remember CRT monitors, you’ll remember that there was much controversy about how monitors were advertised. For example, you might assume that a “17-inch monitor” had a viewable screen of 17″, but you’d be wrong. A 17″ CRT monitor is actually 17″ large, including the fairly large border around the screen. 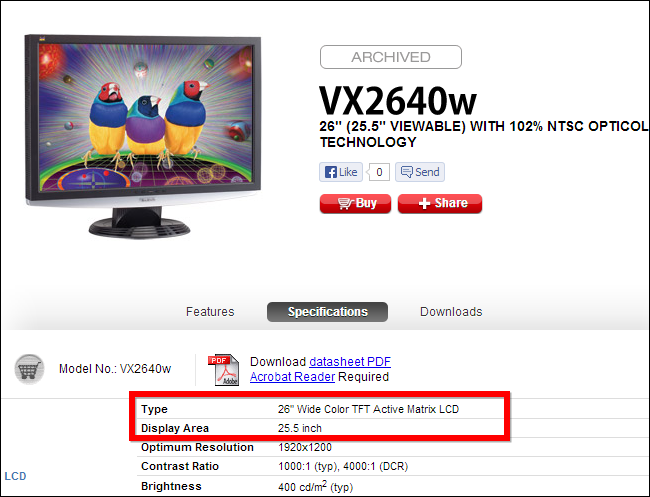 A 17″ CRT monitor might have a viewable area of about 15 inches. Companies like Monster, makers of the hugely overpriced Monster Cable, would have you believe that you need super-expensive digital cables to get the best out of your home theater setup. This isn’t true at all. If it’s a digital cable — like an HDMI cable — you won’t see any benefit from buying an expensive cable versus a cheaper one. A digital cable is just transmitting bits — 1s and 0s — and the data is either transmitted or it isn’t. This can be a bit misleading, because higher-quality cables can make a difference when they’re analog cables — traditional stereo cables, for example. For more a more in-depth explanation, read HTG Explains: Do You Really Need Expensive Cables? This shouldn’t surprise anyone, but it’s very important to keep in mind when shopping for a new device. Don’t just read the battery life specification on the manufacturers’ website — look for trustworthy battery-life tests done by third parties who aren’t trying to sell you anything. Battery life specifications are advertised as “up to x hours” or a “maximum of x hours,” but even these measurements are often more optimistic than anything you could ever see in real-world use. Have you noticed any other misleading marketing tactics?